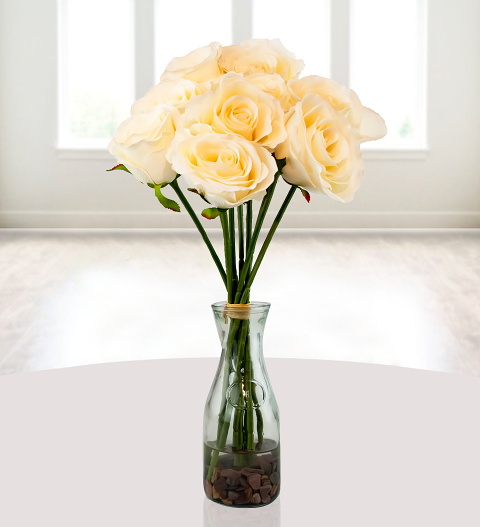 We have selected 9 of the finest cream silk roses for this bouquet. Set in a lovely glass vase, we have also added resin and pebbles to make this bouquet look even more realistic. Spoil somebody special for any occasion when you send this delightful silk floral arrangement.